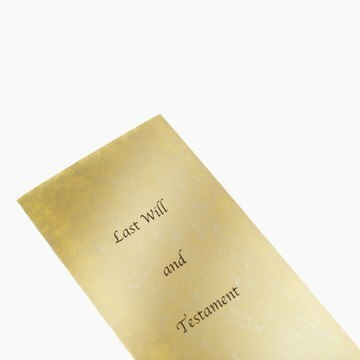 A will is a document that sets forth a person’s wishes for the disposition of their property after death. To become legally operative, a will must be submitted to a probate court. In Virginia, there is no separate probate court. Instead, the county circuit court performs all the functions typically done by a probate court. Once a will is submitted to a Virginia circuit court, it becomes a public record, which any person may obtain. Determine the county where the will has been filed. Every county in Virginia has a circuit court. Under the Virginia probate code, the proper venue for submitting a Virginia will is the Virginia county where a person maintains residence or any Virginia county where a person owns property. If the person whose will you are seeking only owned one property, the circuit court in the county where he lived will likely be the court where you will find his will. If the person whose will you are seeking owned property in multiple counties, you may need to check with the circuit court in each of those counties. Find the contact information for the Virginia circuit court where the will may have been filed. It is not currently possible to search online for probated wills in a freely accessible statewide database. Obtaining a copy of a will probated in Virginia requires directly contacting the circuit court where the will was filed. The Virginia Judicial System website maintains an online list of contact information for circuit courts in all Virginia counties (see Resources). Contact the circuit court to determine if a copy of the will is on file. Any will filed with a Virginia circuit court is a public record; however, individual circuit courts may vary as to how long they will maintain a probated will on file. Some circuit courts may participate in Virginia’s Web-Enabled Records Management System (see Resources), which may allow you to download a copy of the person’s will. You must contact a circuit court clerk to obtain an account with the Web-Enabled Records Management System. File a records request and pay any copying fee. Individual circuit courts may vary as to the procedure for submitting a records request and for any copying fees assessed.